Reach in the bag to find the puzzle pieces that fit your bedroom game board. Try to distinguish between the different puzzle pieces and decide which one feels like the size and shape of a piece you need. 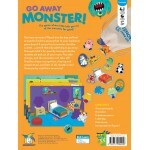 If you pull out a monster, don't be scared... You take charge, and the monsters will take off! 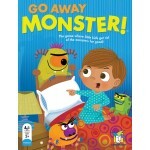 Go Away Monster has a special place in our hearts as it is the First Game of our three kids. We started our kids playing boardgames with Go Away Monster when they were about 18 months old. 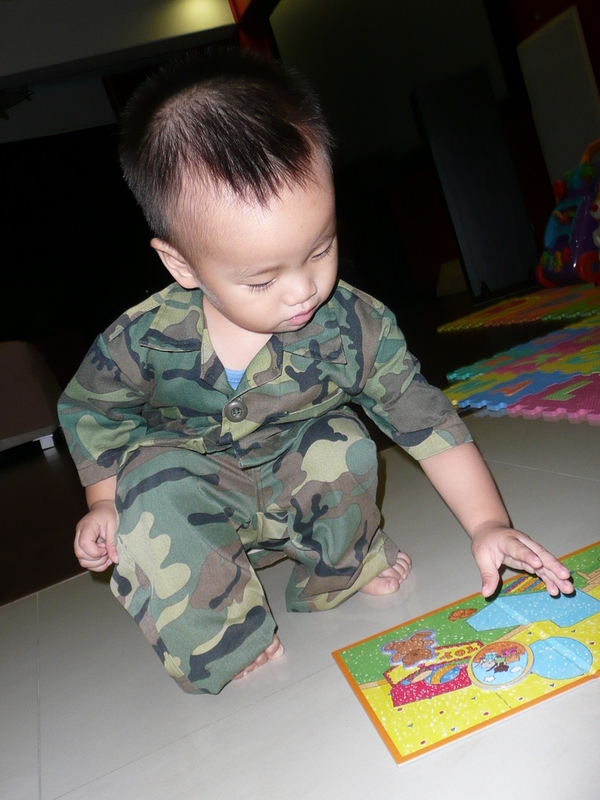 Here's our eldest below, when he was 18 months old, playing Go Away Monster!